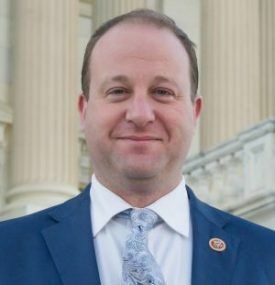 Marijuana Business Daily spoke with the Colorado Democrat a few days before Congress passed a temporary federal spending bill that includes a provision protecting the legal medical marijuana industry from the U.S. Department of Justice. During the MJBizDaily interview, Polis touched upon several marijuana-related topics, including the amendment he co-wrote with U.S. Rep Tom McClintock, R-California: The measure would effectively bar the U.S. Department of Justice from prosecuting any state-licensed marijuana businesses, both medical and recreational. What’s going to be the process with the McClintock-Polis Amendment this year? A lot of our efforts have been around trying to get enough member-level support to pass the McClintock-Polis Amendment this time. I think we’re there. We won’t know for sure until we get a roll call vote, but I feel confident we’ve gained the support necessary for a majority of the House to be in favor of it. And we’ll bring it up any opportunity we have. The most likely is the amendment process to the (commerce, justice and science) appropriations bill. But if there are other opportunities through omnibuses or (continuing resolutions), we’ll continue to pursue those as well. What’s the soonest you think you could get a roll call vote on McClintock-Polis? It’s entirely up to (House Speaker) Paul Ryan, (House Majority Leader) Kevin McCarthy. We don’t know when they’re going to schedule those appropriations bills or how they’re going to schedule them, and they likely won’t inform the rest of the House or the rest of the country until a week or so before. When I spoke to you a few weeks ago, you said MJ businesses should still be concerned about Attorney General Jeff Sessions. Can you expand on that? All of this uncertainty is creating a lot of challenges for business owners. It’s hard to plan for tomorrow when you don’t know the enforcement strategies of the attorney general, and we simply don’t know what they are. We don’t know if they’re going to ratify existing priorities, if they’re going to establish new priorities to interfere with businesses that are legal in our state. There’s just a huge amount of uncertainty out there. Do you have any personal guess as to what Sessions and the Trump administration will do regarding the marijuana industry, the Cole Memo and the disconnect between federal and state MJ laws? Like so many things, they’re keeping us guessing. We’ve heard Jeff Sessions’ rhetoric, where he’s compared marijuana to heroin, which is obviously problematic. We’ve also heard Donald Trump on the campaign trail saying he’d leave it up to states. We have absolutely no idea where they’re headed, and they haven’t indicated to us or the American public where they’re headed. Do you think recent polls – which found that over 70% of voters want the feds to not interfere with states’ rights on marijuana – will have any impact on Trump and Sessions? Or will those numbers spur Congress to pass McClintock-Polis? Congress obviously has to run (for office) every two years, so they’re very attentive to the moods of the public. That’s why a lot of newer members who have recently run in competitive elections support getting the federal government out of banning marijuana and leaving it up to states. I expect that the more people realize this is the way winds of public opinion are headed, the more likely they are to move that way as well. Has the Congressional Cannabis Caucus grown at all? There’s a lot of attention to cannabis issues from members of Congress that hadn’t really talked about it before. But now that it’s legal in their states, it’s on their agenda. We’re constantly moving to bigger rooms to have all the interest from member staffs. There haven’t been any public announcement. But absolutely, there are new members, and at some point in the future they’ll be publicly announced. More than a dozen marijuana-related bills already have been introduced so far this Congress. Any thoughts on which of those have the best chances of becoming law? Where I think we’re going to wind up is, the bill that I’ve introduced, the Regulate Marijuana Like Alcohol Act, and that’s because marijuana is a controlled substance, appropriately so, more analogous to alcohol and tobacco in terms of the regulatory approach than it would be to other products. We might get there. There are 13 bills. Some of them are piecemeal, some of them provide tax fixes, banking fixes, and those very well may happen first. I think where we’ll get in the long run is a sensible federal regulatory approach that moves it out of the DEA and to an appropriate federal agency, like the Bureau of Alcohol, Tobacco, Firearms and Marijuana, which is what we’d rename that agency. What does it say to you that Republicans have sponsored bills like the Small Business Tax Equity Act, and even a bill to deschedule cannabis? I’d say it’s about time. It’s great that more and more Republicans are getting with the times and reading the tea leaves and understanding that their states are moving forward, with or without them, and they’re realigning themselves with the traditional Republican value of states’ rights. So we welcome them and they’re going to form an important part of our pro-marijuana reform majority. If the replacement of Obamacare or other cuts impacting state and local governments are enacted, Some states might look longingly at the tax revenue the states with legal cannabis are getting. Smaaarter than the average bear! Good point. Congressman Polis continue to be a champion for our cause. We are lucky to have him and others like Representatives Rohrbacher, Blumenhauer, Lee, DeGette, Perlmutter and many others who want to be on the right side of history.